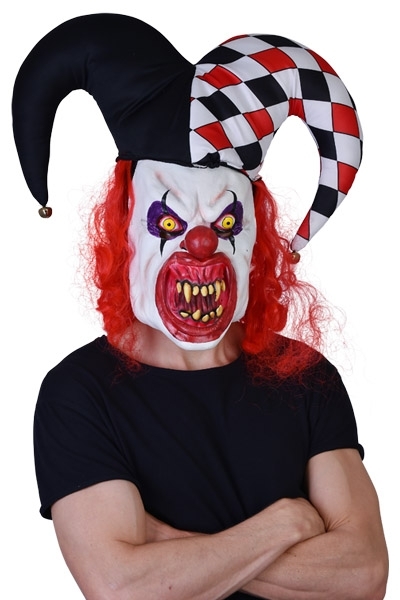 Creepy larger than life horror clown court jester latex mask with bells on the hat. 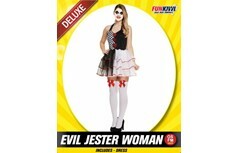 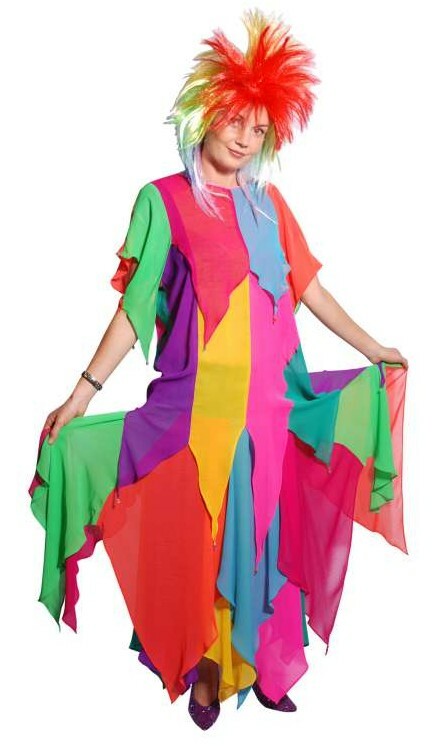 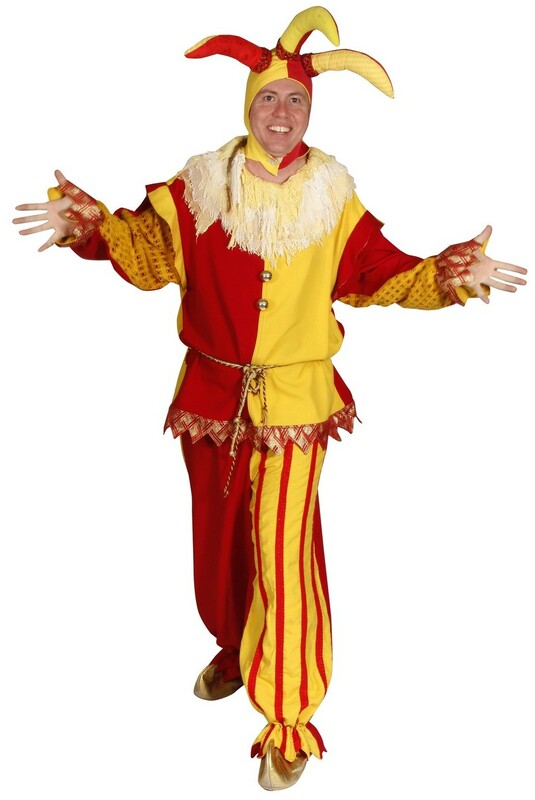 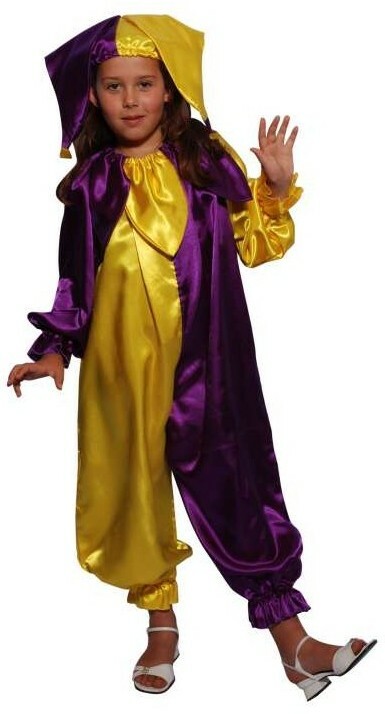 Evil Jester Woman costume the includes dress. 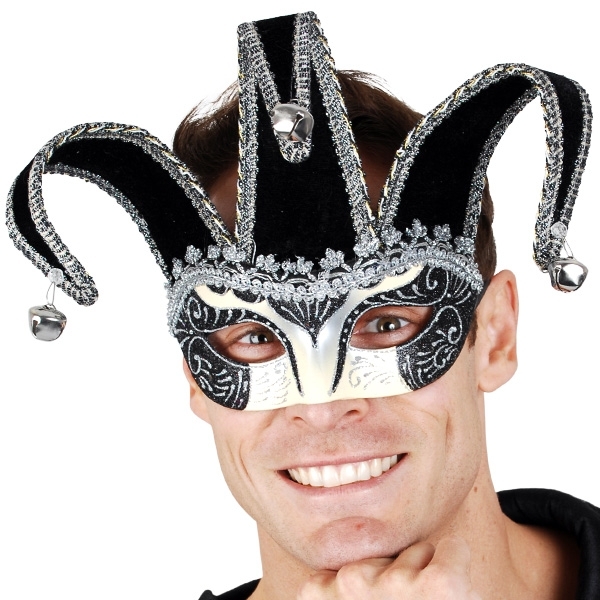 Court jester gold and black eye mask. 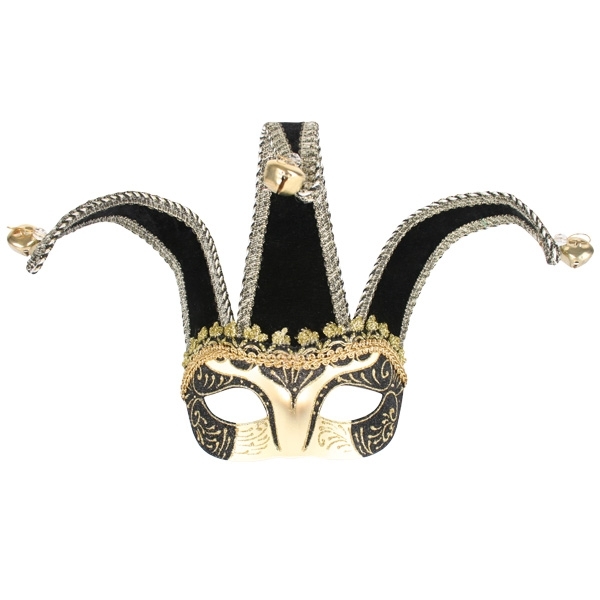 A great mask to wear to any masquerade party. 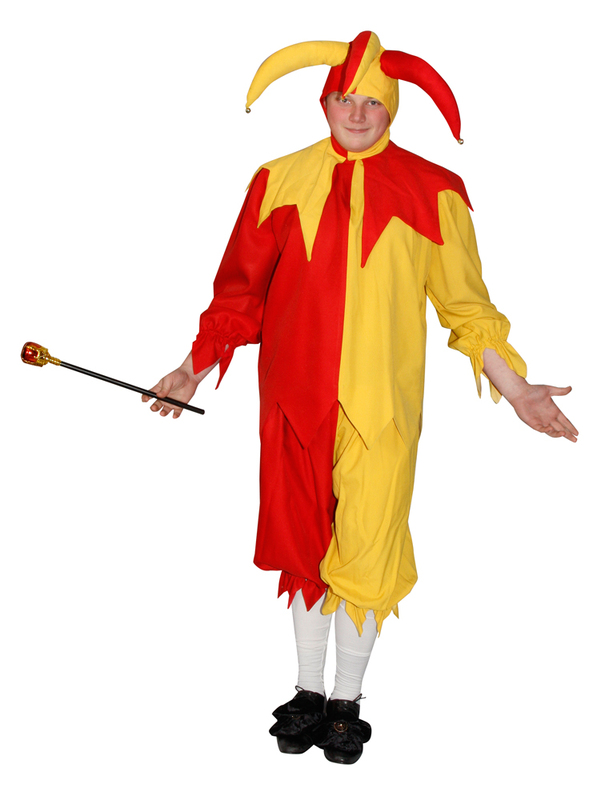 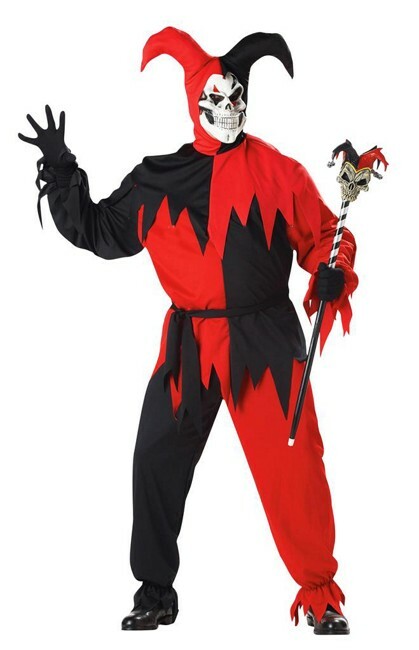 Red and black evil Jester costume.